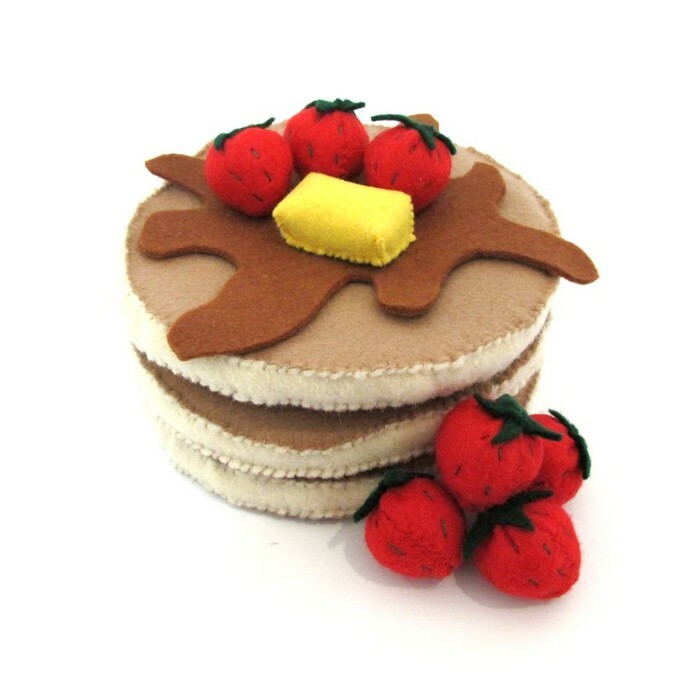 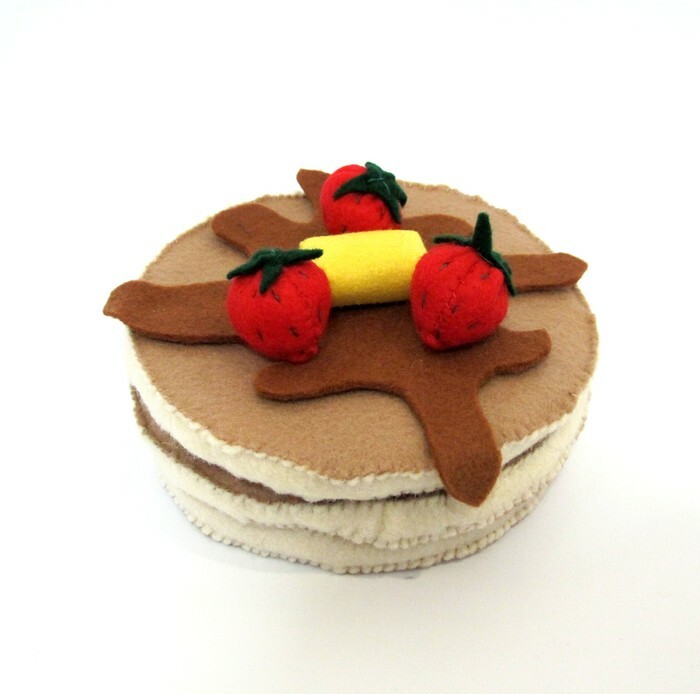 Encourage imaginative and creative play with this set of felt play food. 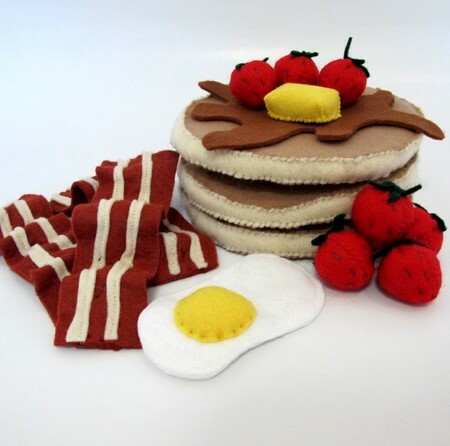 This set includes all the items for a big breakfast. 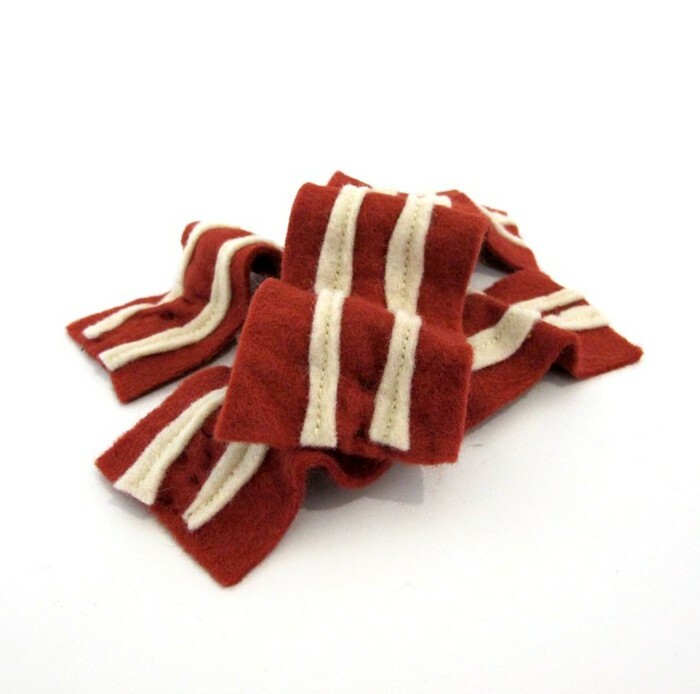 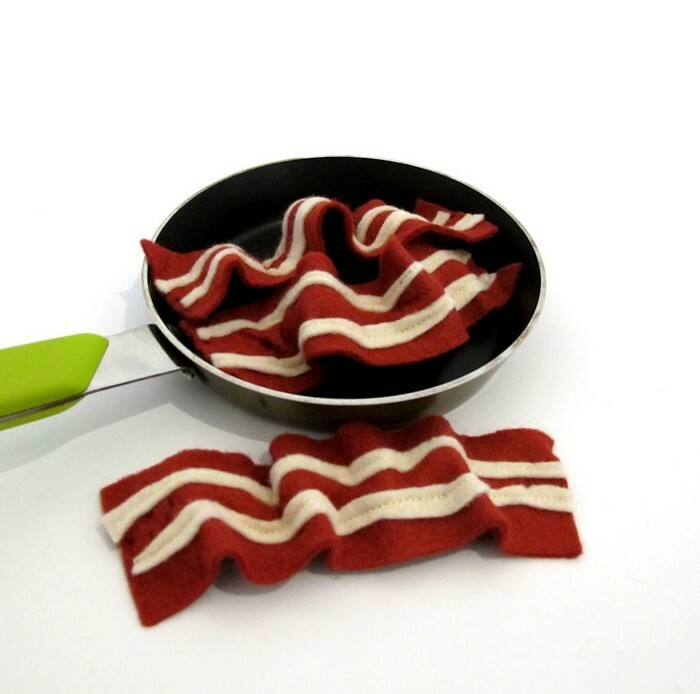 The bacon rashers are bendable making this set interactive and even more fun for children to play with in their toy kitchens.